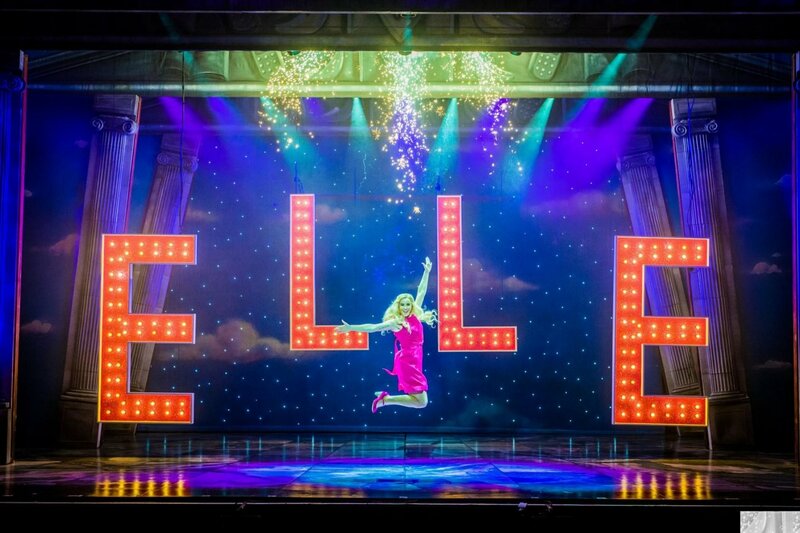 Last night I spend a glorious couple of hours watching Legally Blonde The Musical at The Palace Theatre in Manchester. Consequently Elle sought out to get serious and pursue a law degree at Harvard. Legally Blonde is a story of empowerment. It was a couple of hours of pure indulgence of all things pink, positivity and girl power. Legally Blonde highlighted that blondes are more than just pretty faces with great hair. But are also strong independent loyal women. And that building up other women, being a champion not a challenger is so important. These are exactly the type of people who I want around me. If you are not lucky enough to be backed up by a great team, go out and find a new one. A successful woman is even greater with the right back up. Who needs mean girls/boys and the negativity they bring in their lives. 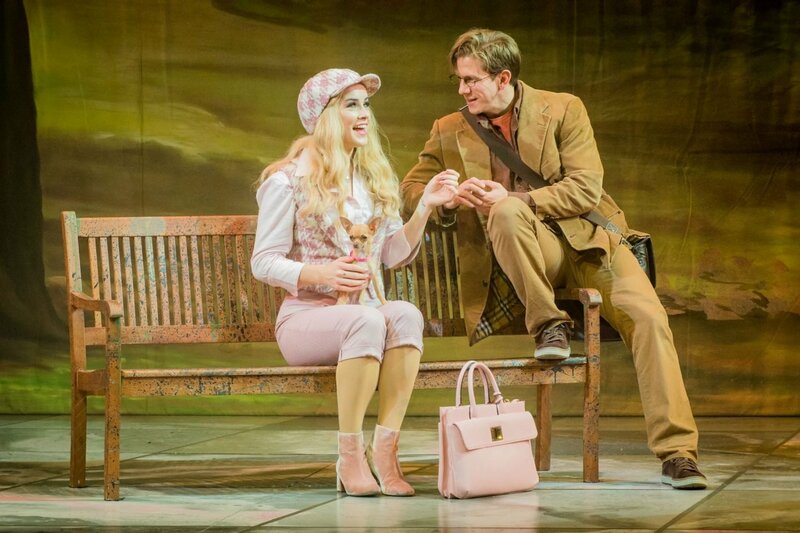 Elle Woods (Lucie Jones, who played the most wonderful warm and believable version of Elle) was devastated when her childhood sweetheart Warner Huntington lll (Liam Doyle) chose to break off their relationship. Citing she did not fit in with his plans to make it in politics, that he felt she was not serious enough. To leave her Sorority days behind her, ditch the shopping malls and get serious. And to prove to Warner she could be the woman he wanted her to be and win him back. Initially she was met with disdain from her peers. Mocked by love rival Vivienne (Laura Harrison) for being blonde and flaky. However soon she finds unlikely friendships in the form of Paulette Bonafonté (Rita Simons). Who shows her she does not need to change, its others around her that need to change. And the unfaltering support of the gorgeous Emmett (David Barrett). Who shows Elle how to dig deep to reach her goals and get her man. All the hard work pays off when Elle is notice by the ruthless but suave professor Callahan (Bill Ward) and she is given a lifeline to prove herself. But all does not go to plan and Elle finds herself once again having to prove she is worthy in a world that does not believe she it. With an incredible score that is upbeat and continuous, beautifully supported by the most amazing voices. And choreography that has such energy and vigour, making you want to jump up on your feet and dance along. Yet Legally Blonde also has a hilarious side that has the audience laughing out loud at some of the gags and antics of the characters. The set is clever as it smoothly moves in and out of scenes with the addition of smoke and a few cleverly placed screens. And the stage is awash with vibrant and pretty colours. Additionally the dogs who although appear throughout are never kept on stage for too long. A tale of acceptance; whether you are blonde, brunette, male, female, straight gay or European. It is about accepting the world and looking for the talent and beauty within. If everybody did that the world would be a much better place. The finale was one of my favourites ever as we danced along to a vision of pink. As confetti streamed from overhead and the whole audience were on their feet cheering along. Legally Blonde left me with a warm feeling in my heart, feeling lucky to have the people around me that I do. I am sure I smiled from ear to ear the whole way through. 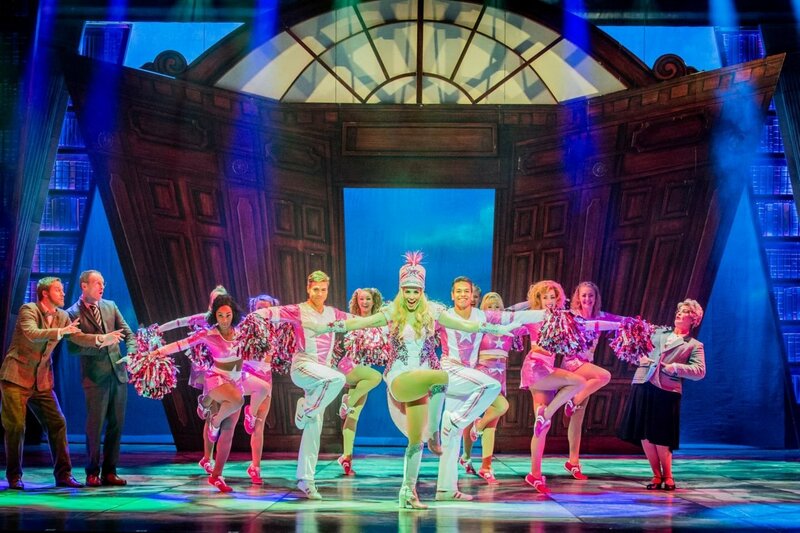 Legally Blonde is on at the Palace Theatre until Saturday the 30th June and if you haven’t seen it? Then omg go…. You will not regret it. It really is the ultimate feel good show. I couldn’t love this more Sarah! I’ve always thought it would be a great musical to see with Maddie, and now I’m desperate to book tickets. I’ve already gone for Aladdin in London for our annual summer girls day (just couldn’t resist before it leaves town) but this is next on our list.